The medical and recreational use of marijuana is increasing in the U.S. The drug remains illegal under federal law (even though it is legal in 23 states and the District of Columbia), but a federal spending bill passed in December 2014 prohibits the Justice Department from using federal funds to enforce this ban in states with medical marijuana laws. Medical marijuana is recognized as a legitimate medical application for many disease states. 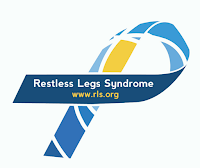 Restless legs syndrome (RLS) is one disease for which patients are looking to experiment with medical marijuana to relieve symptoms when more conventional treatments are unsuccessful, too expensive or cause unwanted side effects. Current treatment for RLS includes dopaminergic agents, an alpha-2-delta ligand subunit drug, and other medications that are not approved by the U.S. Food and Drug Administration (FDA) for treating RLS. The FDA-approved drugs demonstrate effectiveness by enhancing dopamine activity in the brain (Requip, Mirapex, Neupro Patch) or by modifying calcium channels on nerves (Horizant), which changes the excitability of nerves that carry RLS sensations or pain. There are no current studies or clinical trials on the use of medical marijuana in RLS. Though marijuana is not FDA approved for medical indications in the disease, anecdotal evidence from some patients’ experiences with the drug have shown improvement in some of the symptoms commonly associated with RLS. Marijuana works mainly by acting on multiple cannabinoid receptors in the brain to provide variable psychoactive effects (that is, affecting mental processes) on areas including motor activity, coordination and pain relief by inhibiting prostaglandin biosynthesis and thus blocking pain receptor pathways. Although there are no studies examining the use of marijuana for treating RLS, there is some clinical experience available based on its anecdotal use by many patients. Typically, ingested marijuana (through brownies or cookies, for example) does not seem to benefit RLS very much, while inhaled marijuana (through a marijuana cigarette or vaporizer) works very quickly and effectively. Most RLS sufferers report that after only a few puffs of a marijuana cigarette or a few inhalations of vaporized medical marijuana, even very severe symptoms are relieved within minutes. The relief does not last very long, wearing off after one or two hours. Therefore, inhaled marijuana works best for RLS symptoms that occur mainly at bedtime. Patients have reported that a one month supply of medical marijuana may last three to four months when used to treat bedtime RLS symptoms. Marijuana is a structurally diverse chemical. Very little is known about the 489 constituents of the marijuana plant, Cannabis sativa. It is known that 70 of these constituents are cannabinoids, and the remainder are potentially unwanted neuroactive substances that cross the blood-brain barrier. An important distinction regarding cannabis products is that tetrahydrocannabinol (THC) is the major psychoactive ingredient (that is, it affects mental processes), and cannabidiol (CBD) is the major non-psychoactive component. It is believed that products that are high in CBD and low in THC will produce wanted effects in the brain with little or no side effects on mental processes. Studies on medical marijuana for treating pain and muscle spasticity have shown a significant reduction in symptoms compared to placebo. In addition, these studies found no significant adverse effects, and patient tolerability to marijuana was good. The most common side effects of marijuana reported included dizziness, fatigue, dry mouth and nausea. Many factors limit the use of medical marijuana in RLS. First, no clinical trials have documented its benefits for treating RLS. Second, studies of medical marijuana in pain and muscle spasticity involved small study populations over a short period of time, and therefore do not provide information on how a patient would respond to long-term use. We also do not know the side effects or complications of using medical marijuana over the long term. Finally, the use of marijuana is very limited in the U.S. as it is still considered illegal under federal law. In summary, in addition to federal acceptance of the legality of marijuana, more clinical trials are needed to validate whether the use of medical marijuana would be beneficial in patients with RLS.